Club Penguin Cheats by Mimo777 Club Penguin Cheats by Mimo777: Club Penguin Featured Fashions: September 24! 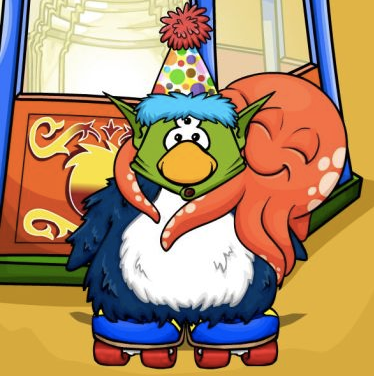 Check out the Club Penguin September 24 Featured Fashions! 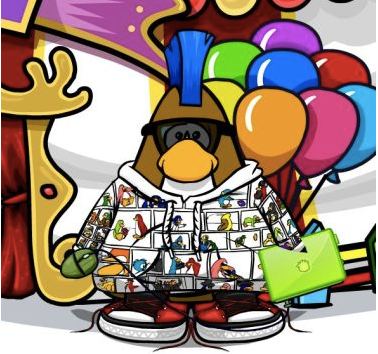 Rocking Boy said: "My latest amazing fashion penguin was Agent Tut. He always wants a cool looking penguin. Sometimes he dress up crazy like a football playing spider, or sometimes a penguin driving and playing Club Penguin!" Fishing2 said: "I saw Fishy339 once and his/her outfit was amazing!" Earthydude said: "Sweet outfits! My friend Figment100 has a SWEET costume on! Check it out!" What is your ALL TIME favorite clothing item!? has to be Beta Hat, or Red Jackhammer, or those sweet sunglasses, tour guide hat, and parrot, and friendship bracelet! 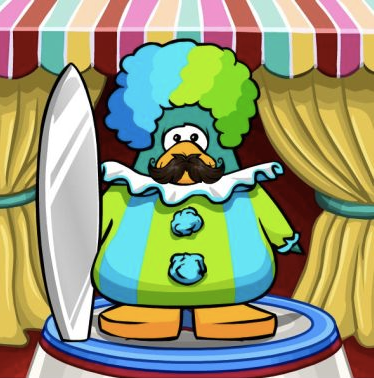 The last one of the clown holding the surfboard wasn't that good in my opinion. I guess that's umm cool. http://www.youtube.com/watch?v=BFL5Aqdm6Q8&feature=colike PLZ share my vid on your page and plz telll them about the 10,000 coin prize! My all time fave clothing item is my turquoise ball gown from the February fashion show catalogue. Oh and the matching shoes of course!